There are not many published California Court of Appeal opinions providing guidance for LLC managers and members. 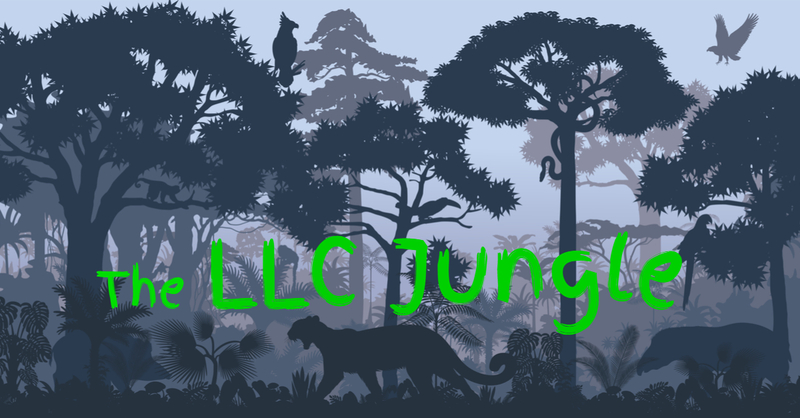 That’s why it’s an “LLC Jungle” out there. While unpublished opinions are not binding precedent outside of their specific case, they can provide useful guideposts the types of behavior that can land LLC managers in trouble. One recent unpublished opinion from California’s Fifth Appellate District — Garcia v. Garcia — is worthy of dissection. The Garcia v. Garcia story involves LLC distributions, charging orders, and manager fiduciary duties. First, some background …. Most LLC Operating Agreements provide a high degree of discretion for the LLC’s manager (or managing member) to make, or not make, distributions of profits to the LLC’s members. LLC managers are generally not required to make distributions unless stated otherwise in the Operating Agreement — their discretion to “stockpile profits” within the LLC (e.g., to build equity, fund new projects and expenses, etc.) usually goes unquestioned and unchallenged. A charging order is a tool that can be used by an outside judgment creditor of an LLC member to collect on the debt owed. If the judgment creditor can show that distributions pursuant to the charging order won’t satisfy the judgment debt within a “reasonable time,” the court may allow the creditor to foreclose on the LLC member’s transferable/economic interest. After the foreclosure, the member’s loss of its transferable/economic interest is permanent. LLC managers owe fiduciary duties both to the LLC and to the LLC’s members, similar to the duties owed by a partner to other partners in a partnership. (Corp Code §17704.09.) These include the duty of loyalty, care, and good faith and fair dealing. The Operating Agreement cannot eliminate these duties. Garcia v. Garcia Facts: After two LLC members get hit with a charging order by an outside creditor, the LLC manager cuts off distributions, leading creditor to foreclose. Morris and Sharon (husband and wife) were members in Vista Del Sol LLC, along with their nephew John and John’s wife Janie. John was the manager. Vista Del Sol owned a valuable and productive ranch in Madera County, which was primarily used for the production of almonds. Morris had a separate real estate development company, which experienced difficult times during the Great Recession. Morris and Sharon defaulted on loans relating to a development project (unrelated to Vista Del Sol), and a bank obtained judgment against Morris and Sharon. To enforce that judgment, the bank later obtained a charging order against Morris and Sharon’s transferable/economic interests in Vista Del Sol. At some point, John’s attorneys wrote to Morris and Sharon’s attorneys that: “The LLCs will simply proceed with paying off the judgment creditors through payment of distributions which otherwise would have been paid to Morris and Sharon pursuant to their economic interests.” Morris and Sharon alleged that such distributions, had they been made while the bank’s charging order was in effect, would have satisfied the charging order within a reasonable time. John, however, made no distributions. The bank eventually foreclosed on Morris and Sharon’s transferable/economic interests. Shortly afterward, the LLC sold its Property, distributed the proceeds to John, Janie, and the bank, and then dissolved. Morris and Sharon sued John for breach of fiduciary duty (both directly and derivatively on behalf of the LLC), among other claims. Trial Court Ruling: No breach, because the manager had discretion re distributions. The trial court sustained John’s demurrer and dismissed the case. Court of Appeal Opinion: A manager can be liable for breaching fiduciary duties by refusing, in bad faith, to make distributions that would have satisfied charging order. The Court of Appeal reversed the trial court’s judgment, finding that Morris and Sharon’s allegations stated valid claims for breach of fiduciary duty, among others. The court held that there were factual issues to be resolved about “the consequences of the choices available to John as manager,” which could not be resolved on a demurrer. LLC managers wield a lot of authority and discretion regarding distributions. But such discretion is not unchecked. Fiduciary duties always play a role in assessing a manager’s conduct. If an LLC manager decides, in bad faith, to withhold distributions that could have been applied to an outside creditor’s charging order to satisfy debt owed by an LLC member, the manager might be liable for breach of fiduciary duty.